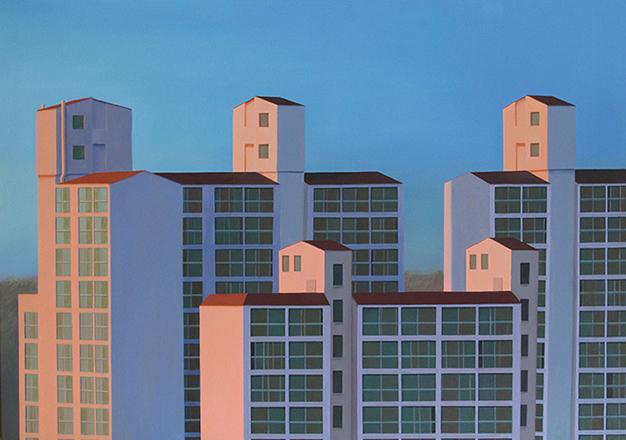 Ingo Baumgarten, "Untitled (apartment roof tops, sunset, Seoul)", 2011, Oil on canvas, 100 x 140 cm. 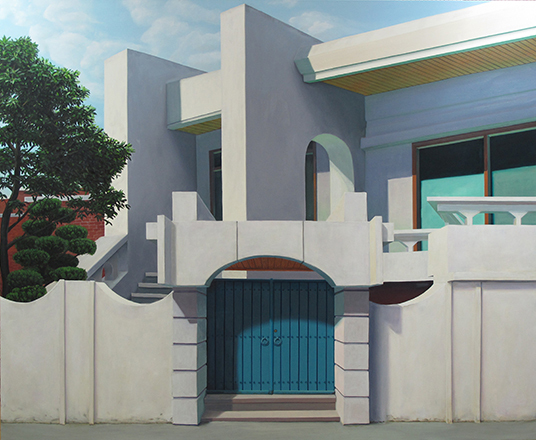 Ingo Baumgarten, "Untitled (house,blue door,Seogyo-dong, Seoul)", 2012-2013, Oil on canvas, 180 x 220 cm. 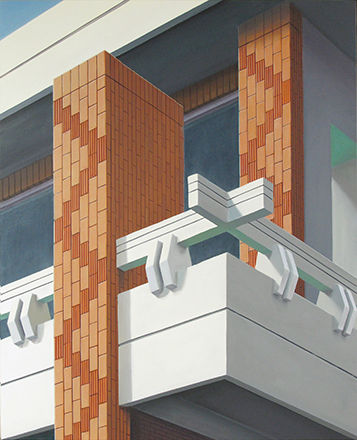 Ingo Baumgarten, "Untitled (parallel structures,Seogyodong, Seoul)", 2012-2013, Oil on canvas, 41 x 60 cm. 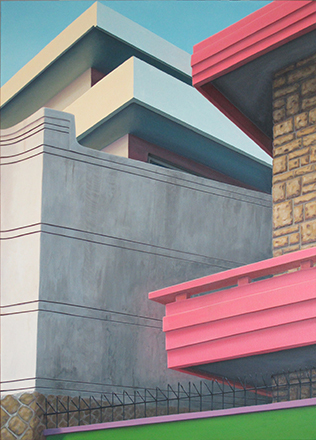 Ingo Baumgarten, "Untitled (jutaek Hapjeongdong,Seoul)", 2012, Oil on canvas, 140 x 100 cm. 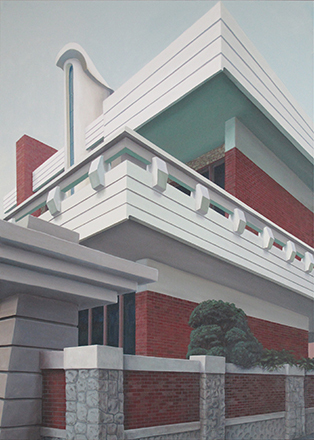 Ingo Baumgarten, "Untitled (Brick deco, Jutaek decoration, Jeongnam dong, Seoul)", 2012, Oil on canvas, 80 x 100 cm. 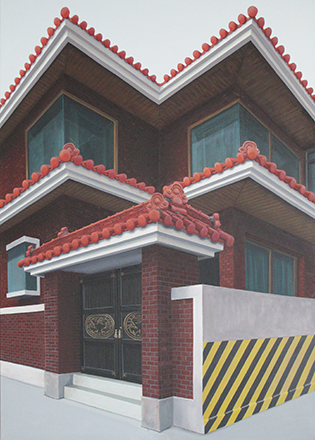 Ingo Baumgarten, "Untitled (shifted brick-wall, Jutaek decoration, Yeongnam dong, Seoul)", 2012, Oil on canvas, 80 x 100 cm. 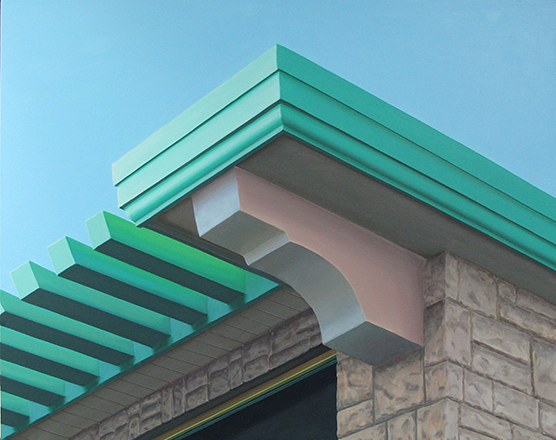 Ingo Baumgarten, "Untitled (green roof- edge Jutaek decoration, Hapjeong, Seoul)", 2012, 30 x 40 cm. 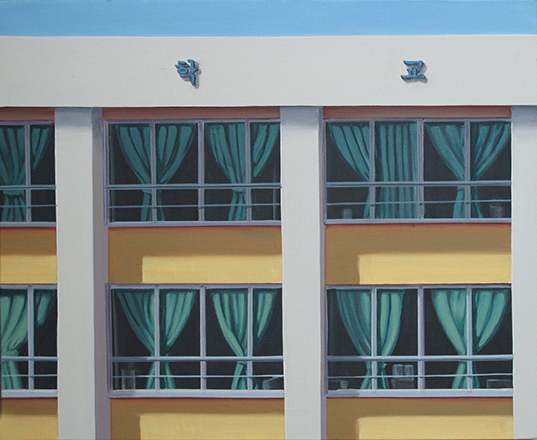 Ingo Baumgarten, "Untitled (windowschool-Seoul)", 2011, Oil on canvas, 37.7 x 43.3 cm. 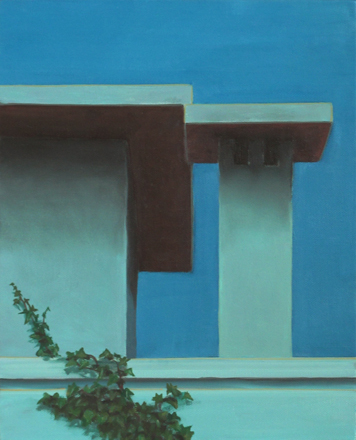 Ingo Baumgarten, "Untitled ( jutaek, Ahyondong, Seoul)", 2011, Oil on canvas, 45.5 x 52 cm. 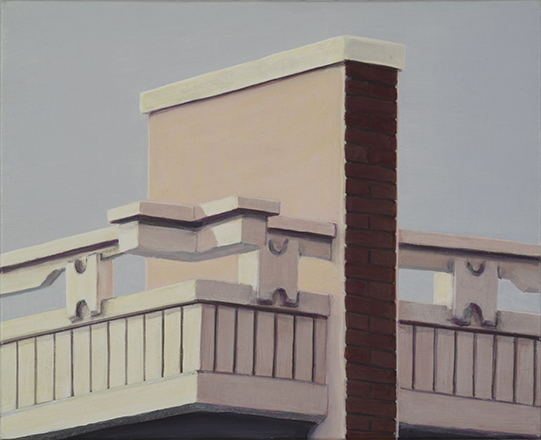 Ingo Baumgarten, "Untitled (rooftop with H- shaped, Hapjeong, Seoul)", 2000, Oil on paper, 22 x 27 cm. 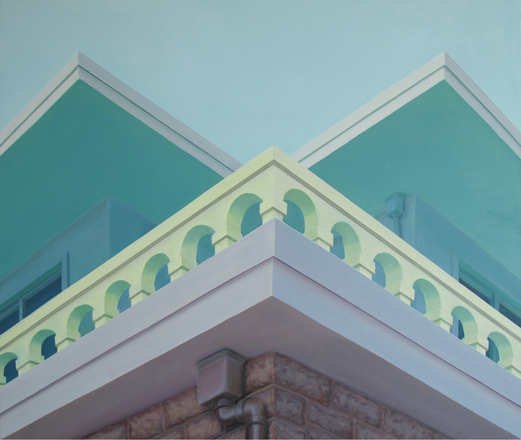 Ingo Baumgarten, "Untitled (sulphur yellow balcony, Seogyodong, Seoul)", 2012-13, Oil on canvas, 100x 120 cm. 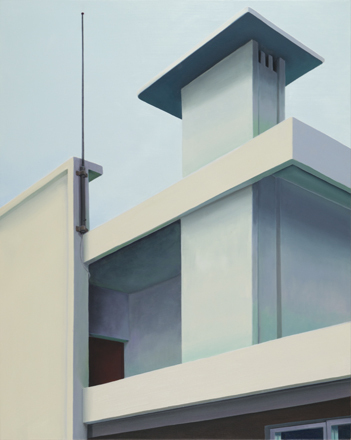 Ingo Baumgarten, "Untitled (chimney, jutaek house, Yeonnamdong, Seoul)", 2014, Oil on canvas, 100 x 80 cm. 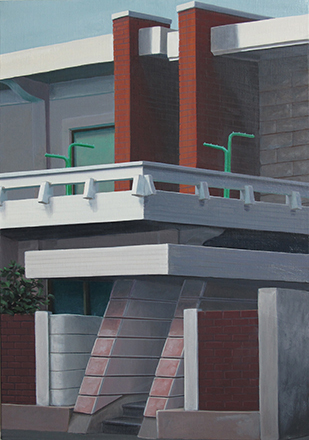 Ingo Baumgarten, "Untitled( twilight rooftop Seogydong, Seoul)", 2010, Oil on canvas, 27 x 22 cm. 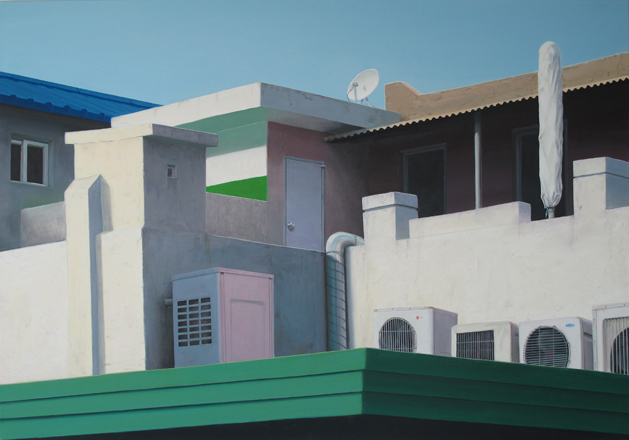 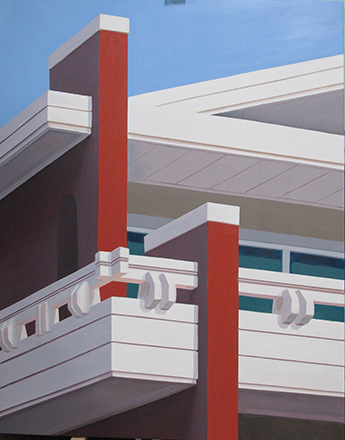 Ingo Baumgarten, "Untitled (rooftop house, pasasol, Seogyodong, Seoul)", 2013- 14, Oil on canvas, 100 x 140 cm. 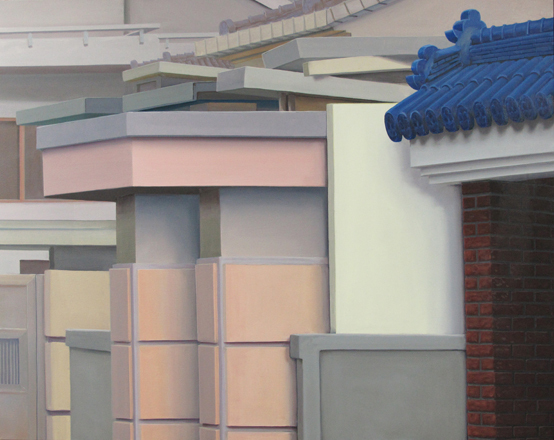 Ingo Baumgarten, "Untitled (blue tiled roof, jutaek decoration, Jeongnamdong, Seoul)", 2012, Oil on canvas, 80 x 100 cm. 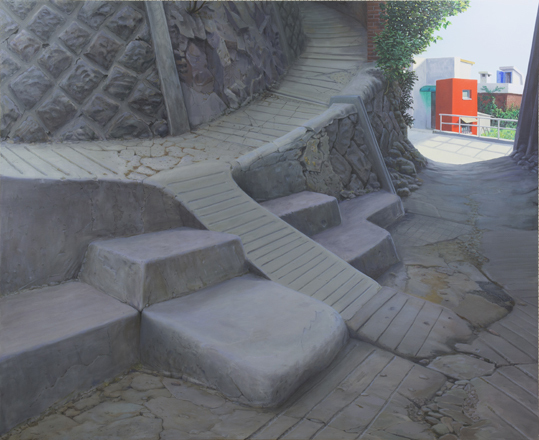 Ingo Baumgarten, "Untitled (concrete steps in mountain alley, Mokpo)", 2015, Oil on canvas, 180 x 220 cm.